Ah, the joys of summer tomatoes. I know, you think I’m crazy, but nothing is like a big, juicy sweet tomato mixed with almost anything – but at the very least, fresh basil. Tomato with fresh mozzarella? How about with cucumbers? Garbanzo beans, onion, garlic, vinegar . . .
Just this week, I cut up one of those beautiful tomatoes with cucumbers (sans seeds), Tossed in some aged vinegar, fresh chopped basil and garlic and a spot of extra virgin olive oil. Magnifique! Another day, I chopped up a tomato, sweet onion, basil (OK, it grows like a weed and I always have tons of it), added oil and vinegar and voila! How about a can of rinsed and drained garbanzo beans, tomato, broccoli, garlic, olive oil and rosemary? The combinations are as varied as your imagination can stretch. Add them to chili. Toss them in a pasta salad, just slice them and eat them as it! Tomatoes are a powerhouse of nutrition. Low in calories and fat; and high in potassium, vitamins A, C and K, folate, choline, phosphorus, calcium, magnesium and even water! So, slice up a tomato and add anything! Tell me what you came up with. 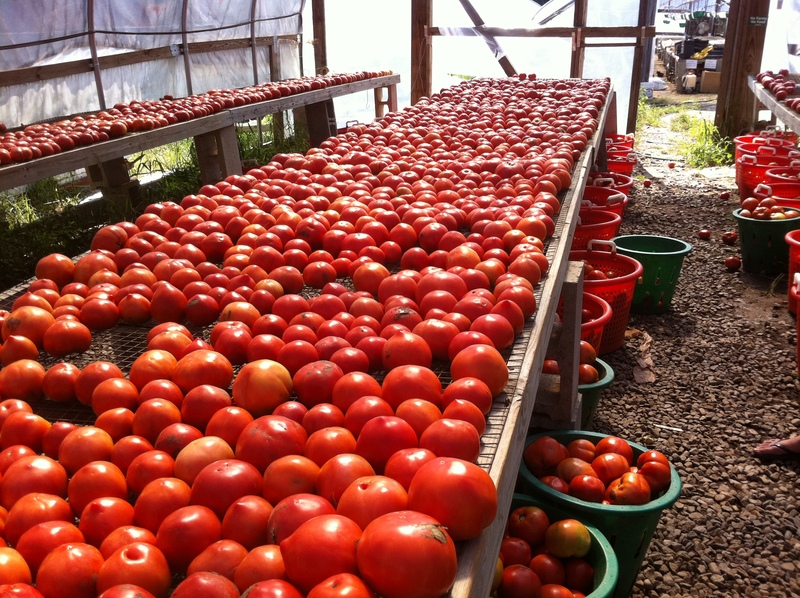 Tomatoes: the incredible, edible and versatile nutritious food. Can’t beat that! Oh, did I mention how good they taste?